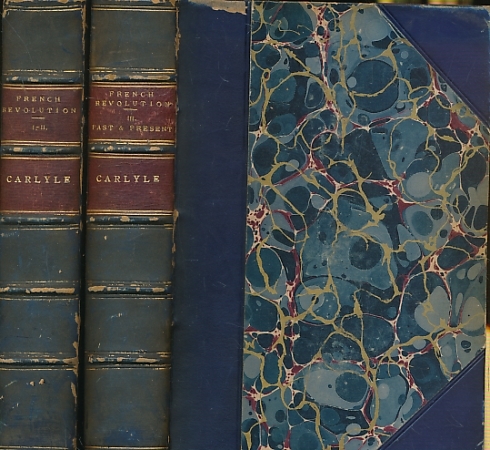 Barter Books : Carlyle, Thomas : The French Revolution. A History. 3 volume set. Plus Past and Present. 4 volumes bound as 2. London: Chapman & Hall Ltd.
170 x 120 mm (7 x 5 inches) - vi, 252pp, iv, 260pp; iv, 300pp, iv, 268pp. Blue hardback half-leather cover with marbled boards. G : in good condition without dust jackets. Covers rubbed and scuffed.